My ThinkPad X200s is highest configuration with some self added options, and includes high resolution display, 9 hour battery life, Bluetooth 4LE, 3×3 WiFi-n and other improvements, but lacked WWAN connectivity. It is not available option for this model, as there is no way to fit 6 antennas in thin LCD bezel, but WWAN mini pci-e and sim card still remains in motherboard that is same from other configurations. I actually previously had bought original WWAN antennas for X200, but after opening display bezel I came in conclusion that there was good reason why WWAN option was not provided from factory. I also had good Sierra Wireless MC8705 3G card boosting up to 21Mbps transfer rates. It works with Thinkpad after removing FCC whitelist from bios or flashing alternative core/libre boot. 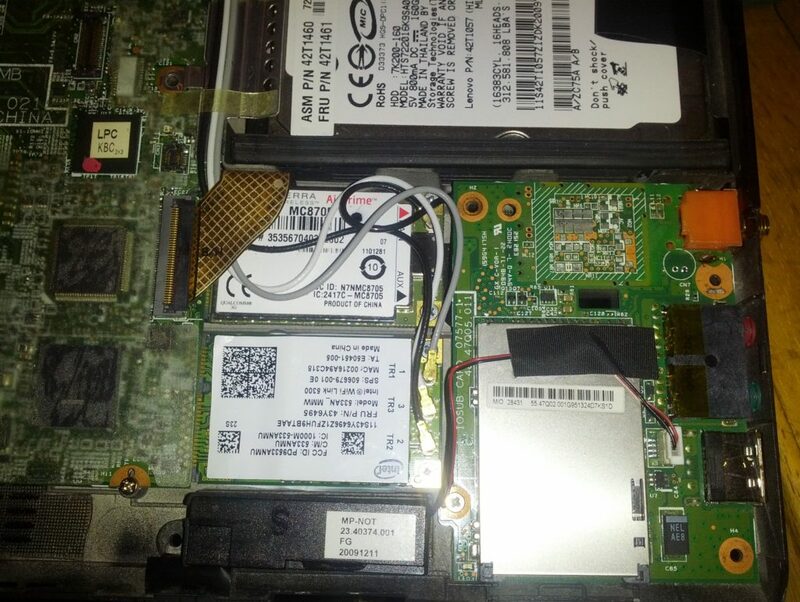 These ultra portable business notebooks are cramped so full that there was no place to add antenna or external connector, well, not without removing some components. As I said, I do not have any use for 56k modem so RJ12 phone jack was unused, and probably newer had seen cable connected to it. In older Thinkpad models modem was implemented with additional daughter card and wires running to phone jack, but in X200 modem was integrated to same daughter-board that has usb, sd, and audio jacks. I picked up desoldering iron and started to remove all modem components from card. I forgot to take pictures during this project, so bear me with text article. After I had removed original jack, I started to design replacement jack that would fit in same space as rj12 was housed, but with SMA type RF connector for external antenna. I dissected metal shield that was covering jack itself, and started to take precise measurements. When I had good dimensions of original jack, I transferred them to Autodesk fusion sketches and finally 3D object. Now I had pretty much identical rendering of rj12 jacks outer dimensions, and I could easily modify 3D model to fit around standard panel mounted SMA pigtail connector. I designed it so that I could fit it back to metal shield and slot in daughter-board. When I was satisfied with 3D model, I exported it to Slic3r and fired up Prusa 3D printer. 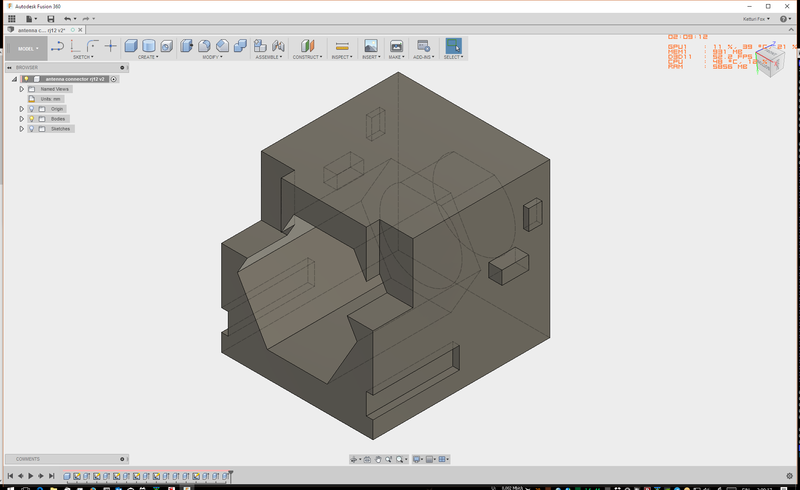 Here is stl file for 3D model that you can print yourself, but I must warn you that SMA connector hole came out bit too tight, so I had to use bit excessive force to get it fit. I got SMA connector in, and also original metal shield fit right on top of my 3D print. Soldering shield back to board was bit tricky, as PLA print has much lower melting temperature than original hard plastic that was in connector. New connector sat on quite sturdy on circuit board. It had bit of flex, but that went away after mounted back to laptop chassis. I also desoldered all parts from modem circuitry, it might lower power consumption a bit, and also was unneeded clutter after removal of phone line connection. SMA pigtail connected straight to 3G card. I left AUX antenna connector unconnected, as it is pretty much only used for GPS reception. I might someday add small patch antenna under palmrest. New connector block fit right in, and it even looks somewhat professional, much better than connector swap I have seen where SMA jack is held by large washers. Physical load from connectors divides to PCB and chassis. 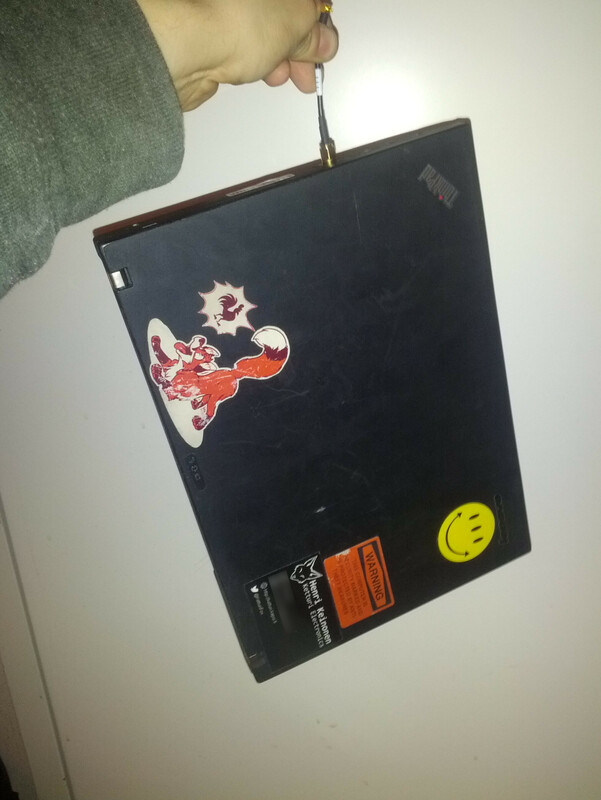 I even tried hanging whole laptop from new connector, and it seemed to hold just fine. This is not though encouraged, SMA connectors are not made to hold mechanical load, and could be damaged. 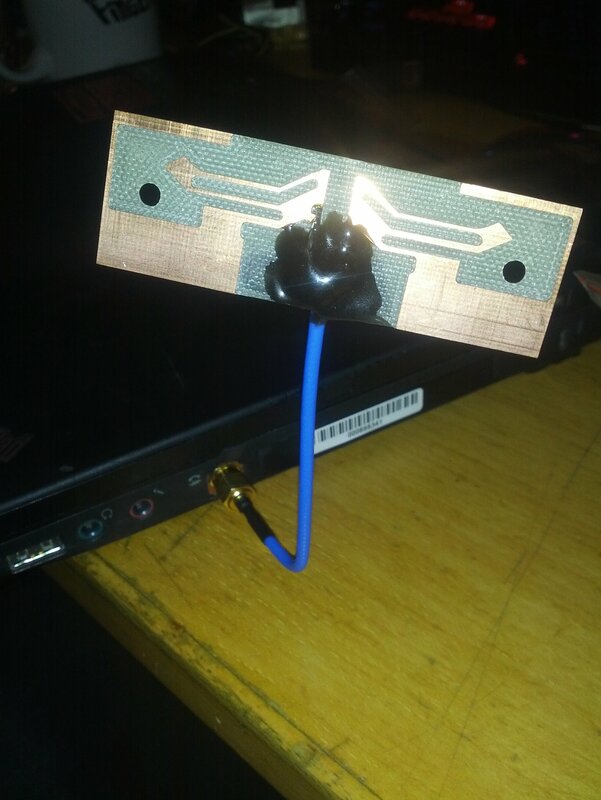 New antenna connector came out quite fine, and works much better than internal antennas on LCD bezel in my new Elitebook. I might consider even doing this modification to elitebook, that has too unused RJ12 modem jack. One interesting idea could be adding SDR module inside laptop and adding similar external RF connectors, so laptop would make ultimate portable radio tool. I apologize that this article is unpolished, I am so caught up with school and work that I have no time to finish my projects yet get them documented and posted. Disclaimer: This hardware hack is not approved by manufacturer, ISP or any regulatory body. 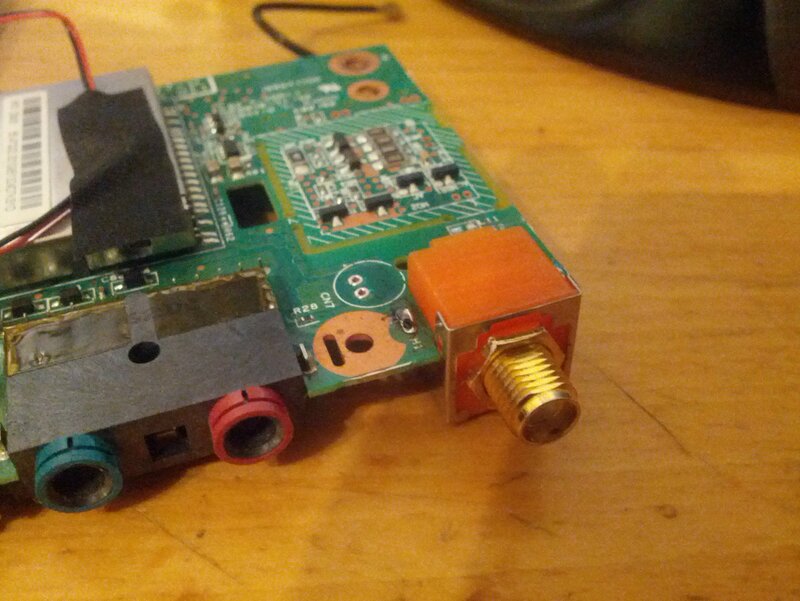 This may violate your local RF regulations and nullifies FCC certificate. 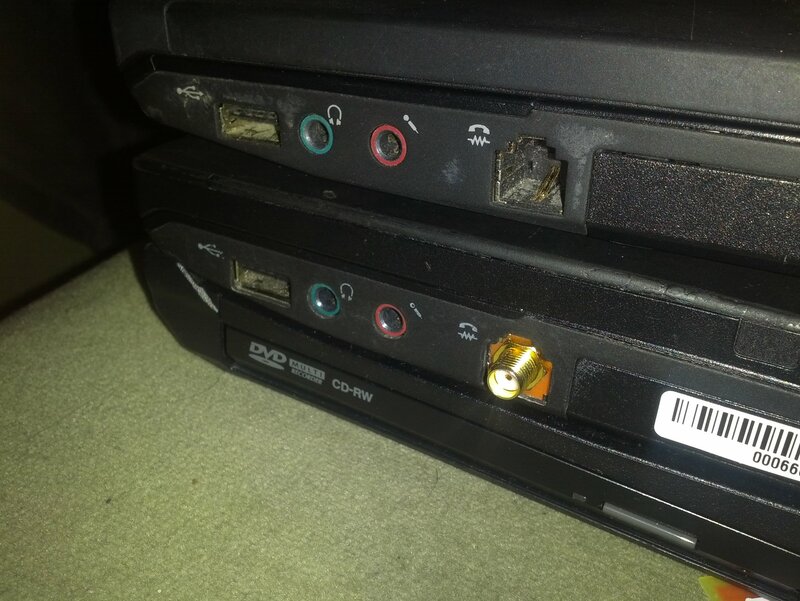 This also violates warranty and doing these kind of modifications may cause hardware damage. This is not quide and I do not take any responsibility.